Starbucks is a big part of my family! Even my 2 year old daughter LOVES Starbucks! Each time I’m at the drive-thru she asks me for a Frappuccino! 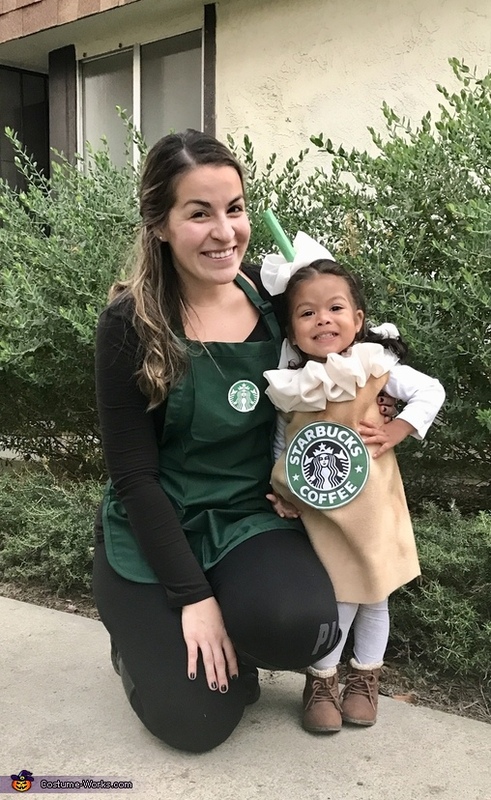 So this year we dressed her up as a mini caramel Frappuccino while my husband and I were baristas! We got so many compliments, but her sweet face and happiness was the best part of our night!